Can you feel the Christmas spirit right now? I can feel it too. 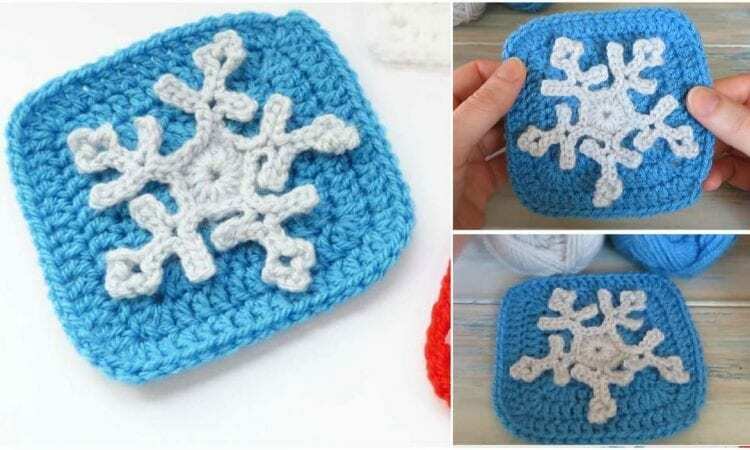 This beautiful snowflake square brings all the best in life to my mind – joy, happiness, family and friends. Let’s ensure that the Christmas spirit will continue to the end of the year and make this amazing square! It won’t take long, and you can then use these as Holiday decorations or blankets.